The nominations for the Guinness PRO14 Dream Team have been confirmed ahead of Monday night’s Awards and Season Launch Party in Glasgow. With the awards taking place ahead of the season more than 75 members of the media, including former players and coaches, took part in the voting. For the first time, the top three nominees for each position have been listed in advance of the awards. With Leinster Rugby and Scarlets reaching the first-ever Guinness PRO14 Final a number of their players have dominated the voting by the media. With voting taking place at the end of the season it allowed for the media to select from more eligible players than ever before as a minimum of nine appearances were required in order to be selected. Clubs from each of the five participating nations have been included in the 45-man shortlist which features three players in each position. 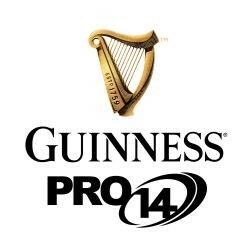 The players who have made the Guinness PRO14 Dream Team will be announced on Monday night in Glasgow while the Dream Team captain will also be present.